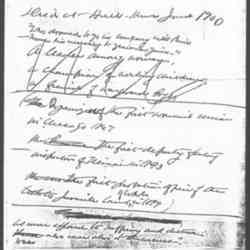 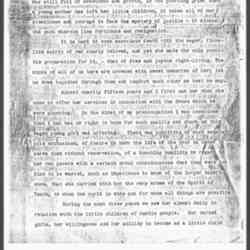 Addams' draft notes for a eulogy for Alzina Parsons Stevens in which she quotes from William Wordsworth's "The Happy Warrior." 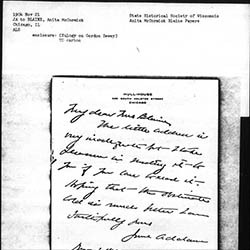 Addams reports to Smith on the funeral of John Peter Altgeld and her visits to the Smith residence. 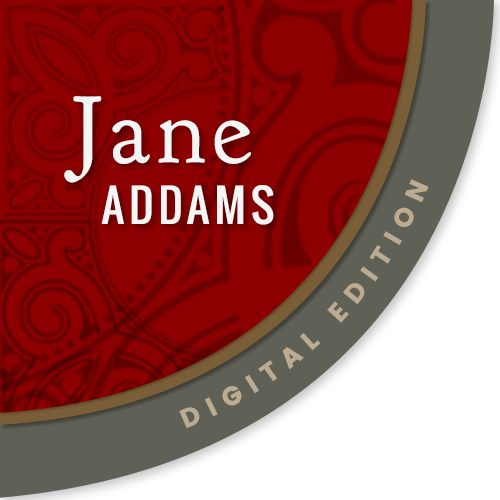 Jane encloses a eulogy on Gordon Dewey to Blaine. 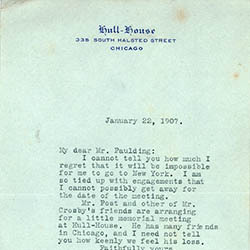 Addams writes Paulding with apologizes for her inability to make a visit to New York following the death of Ernest Crosby. 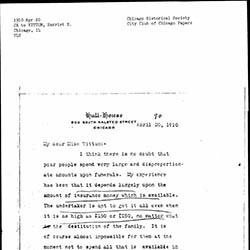 Addams responds to Vittum's query about the high costs of funerals for the poor and legislation to provide relief.